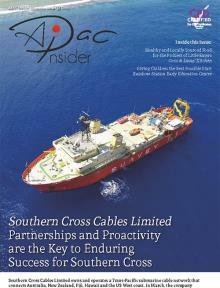 Welcome to the June edition of APAC Insider Magazine. 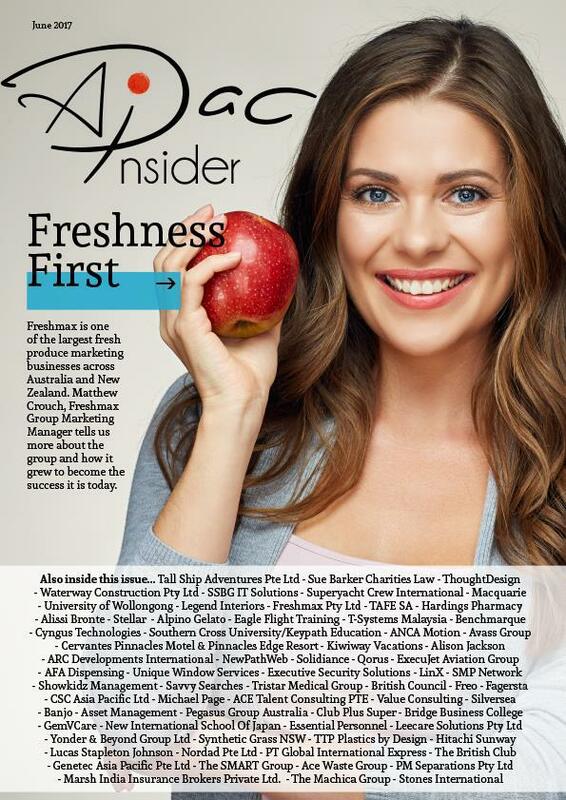 Since its inception in 1995 and then being privatized in 1997, Freshmax is now one of the largest fresh produce marketing businesses across both Australia and New Zealand. Freshmax Group’s Marketing Manager, Matthew Crouch told us more about the company. With a local presence in 15 locations across nine countries, Hitachi Sunway is the leading one-stop ICT solutions provider in ASEAN. In this edition, we profiled the solution the range of solutions the firm offers, under the umbrella of business, engineering and technology. Elsewhere in this issue, we discover how T-Systems is pursuing the mission to shape the future of a connected world and society by creating added value for customers, employees and investors through innovative ICT solutions. I hope that you enjoy reading this edition.